I'm very excited you are here to celebrate this day with me! It was two years ago that I took a huge hop of faith and decided to make The Raspberry Rabbits my full time job. First, I would like to share how I came up with the name of my business. Well, I have my friend, Becky Wheeler, to thank for that. It all started with this shaker hat box she painted. It was a gift for my 30th birthday in 1998. Like many people, I had always daydreamed of what it would be like working from home. There is so much freedom that comes with it, ut it isn't all that easy. I work every single day and most days are very long, but my time is my own. If I want to work for an hour at 6:00 a.m. and then go for a walk to breathe the morning air, I can. Really, the hardest thing for me was getting use to working alone. I'm an extrovert, love people and as most of my close friends know, I'm a talker. ;) It took about a year for me to adjust. Now being in my studio, listening to music and getting lost in a design is pure magical zen. Plus, my employees are quite entertaining and melt my heart a million times a day. Animals are the best. So many incredible things have happened to me over the past two years. First, writing my book was both exhilarating and exhausting. I learned so many things the hard way, but seeing it finished and enjoyed by so many people has brought me so much happiness and a true sense of accomplishment. I self published my book, which means my book is a true reflection of me. 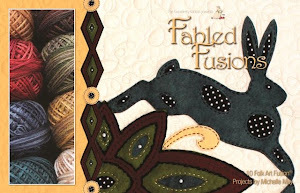 I have Carol Ann Waugh, author of Stupendous Stitching, to thank for encouraging me to go this route. She has been a wonderful mentor. 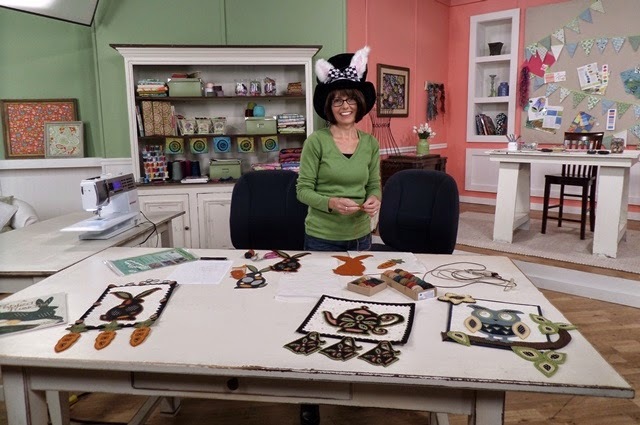 My journey continued when I was selected to teach at the "Make and Take" workshops and "Open Studios" at the Chicago International Quilt Festival. 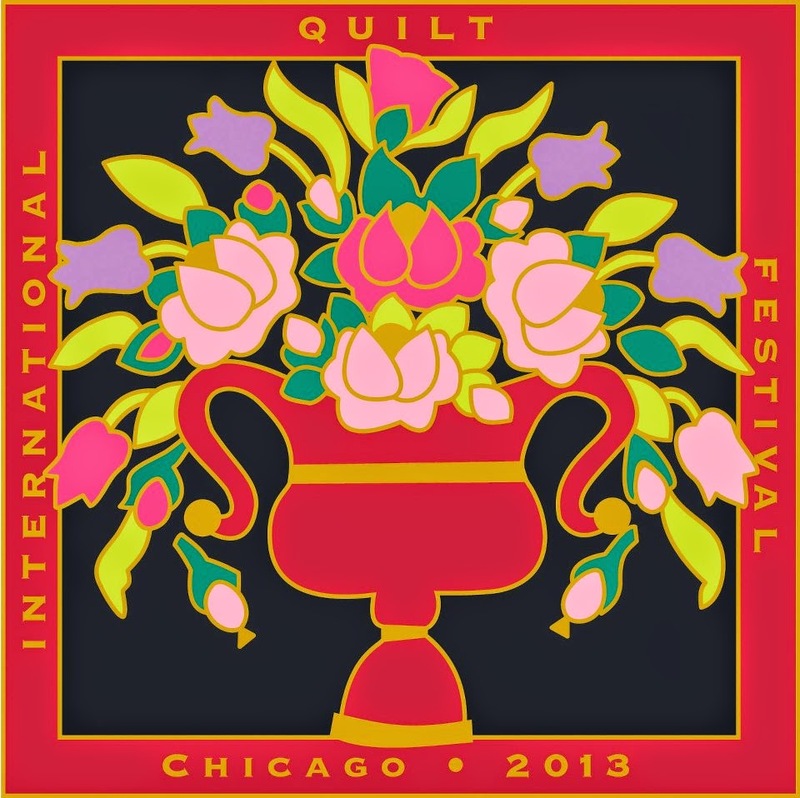 This was the first time the festival had returned to Chicago in many years. 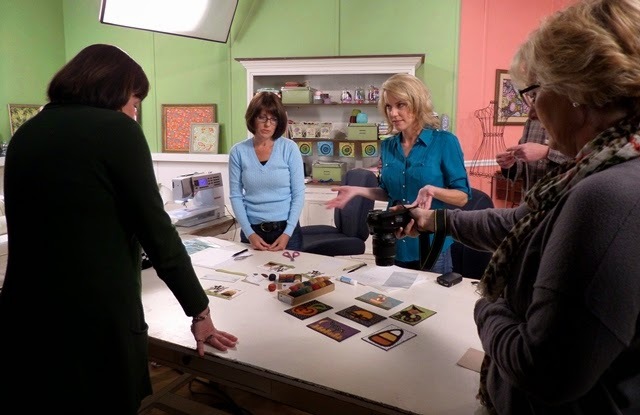 Not only was I thrilled teach there, but to meet my blog friend and loyal customer, Sharon Decker (lady on the left in the cool patchwork jacket). She's such a sweetie! 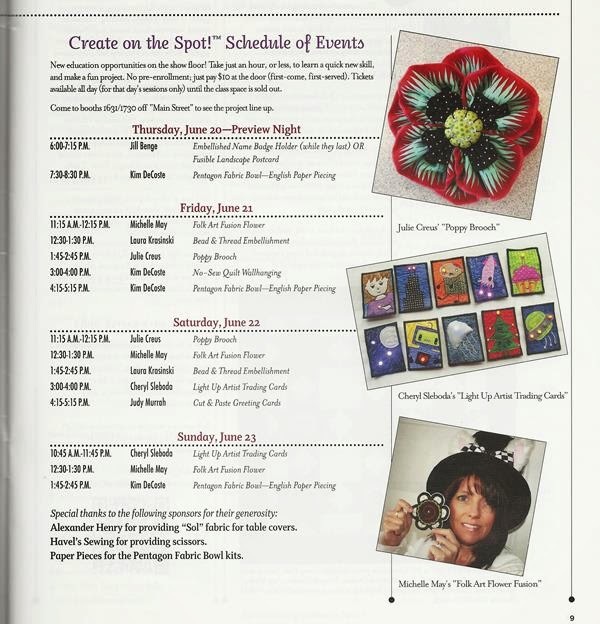 It was at this festival where I also met Pokey Bolton of Quilting Arts TV. My idol! 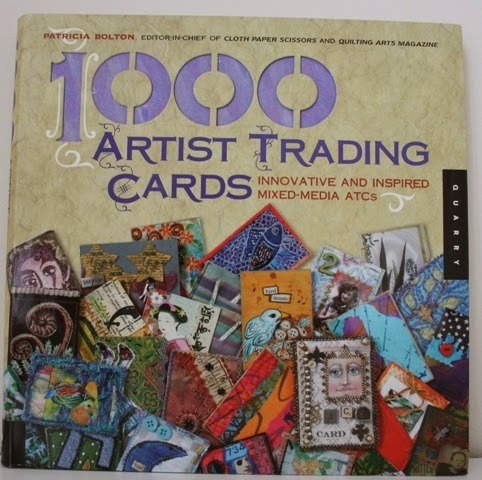 I had admired her ever since my artist trading card made it into her book. 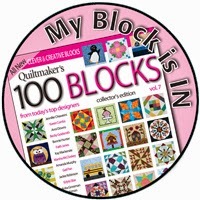 Then, Quiltmakers's 100 Blocks magazine asked me to create a block for Vol 7. What fun! Of course, my block feature rabbits. I created this block called "Carrot Run." I made a pillow from my original block and donated it to a rabbit rescue for a fundraiser. Then the biggest dream came true. 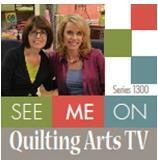 I was invited by Pokey Bolton to be a guest on Quilting Arts TV. I still get goosebumps when I think about it. 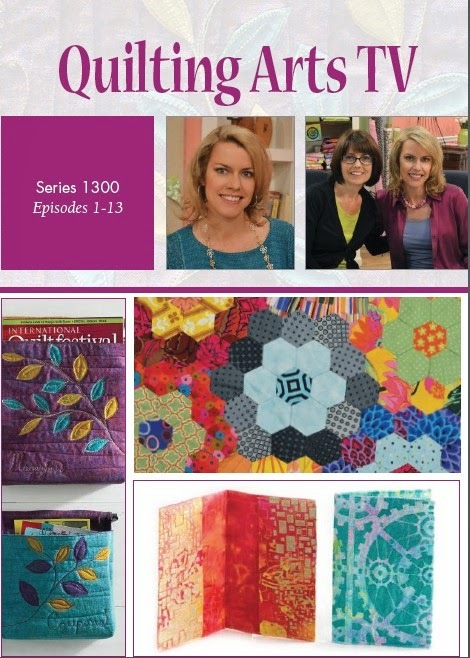 I had watched the Quilting Arts TV show for over 12 years and loved every single episode. 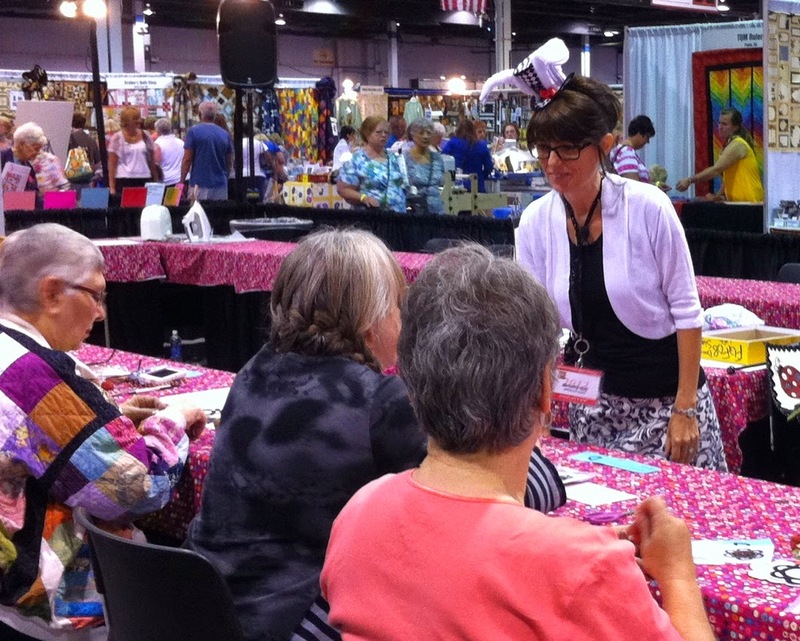 As I watched, I would imagine myself being there to share something fun with friends in the quilt world. I can honestly say, this was one of the most amazing and fascinating things I have ever done. It was also a HUGE honor as this would be the last season with my idol, Pokey Bolton, as the host. But my journey continued. 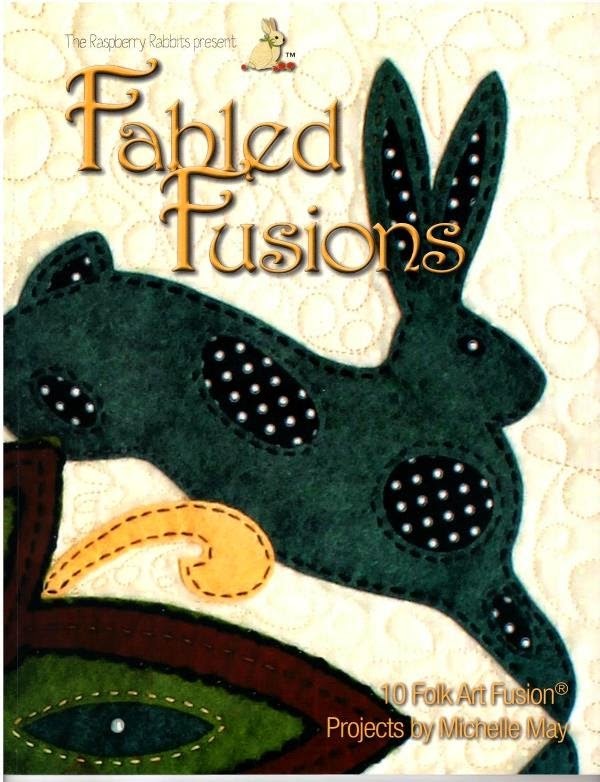 From there I met the incredible quilter, author and fellow bunny lover, Shannon Shirley of Once in a Rabbit Moon. Shannon and I are kindred sisters for sure! 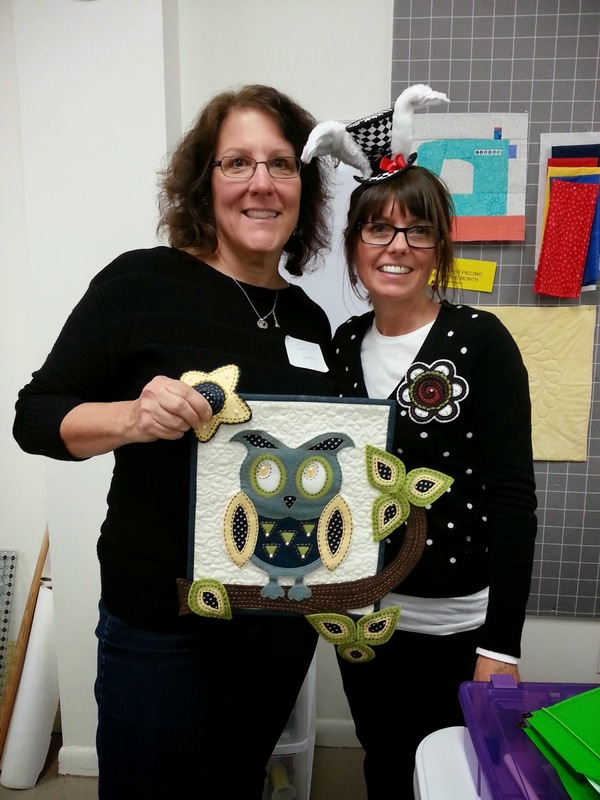 She invited me to teach a workshop for her guild, The Cabin Branch Quilters in VA. Soooooooo much fun! It was teaching this workshop that I was reminded of my passion for teaching and sharing. I taught part time in quilt shop for over ten years until it closed in 2004 and really hadn't taught since then. The sense of joy, accomplishment and the smiles on my students faces at the end of the day, plus being around the positive energy that comes from creating, was all I needed to point me down this path once again. I was invited by my new friend Jean Werling, who lives in my favorite town, Wilmington NC, to come and speak at the first anniversary of the Cape Fear Chapter of the American Sewing Guild. It was a wonderful time and Jean knows some how, some way, I'm going to move to Wilmington and we'll be stitching buddies for sure! Plus, I want to host a retreat there called, "Stitching by the Sea." It would be soooooooooooo much fun! Of course, I can't forget my beloved, Valdani Threads. Owners, Daniella and Dana are simply the best! 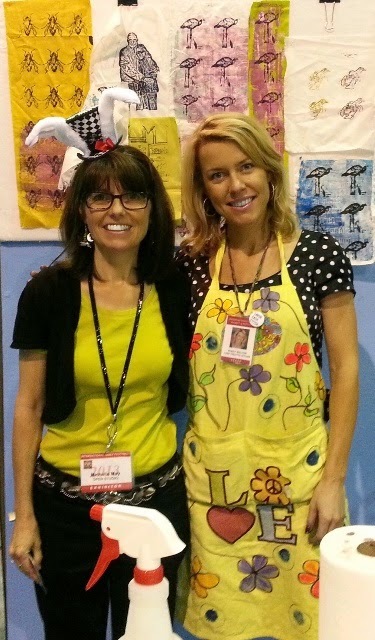 They invited me to be the guest artist twice at the Houston Quilt Market. I'm not someone who can sell or recommend something I don't believe in or use. Valdani's hand dyed, colorfast, variegated threads are so beautiful and their dying methods don't hurt the environment. This is the reason I use them exclusively in my designs. So that's a wrap of what's been happening the past two years. Is there more to come? Why of course there is! 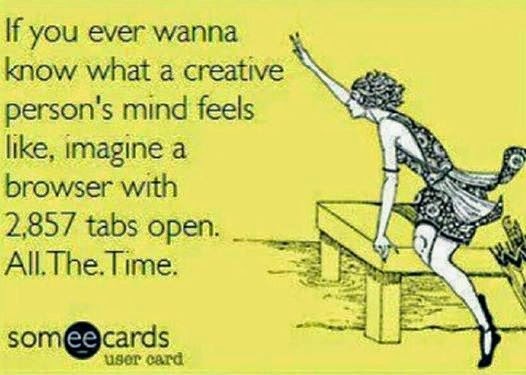 There's so much hopping around in my head that sometimes I don't know where to start first! One thing is that I have always wanted to work on a series for an exhibit. It will be a series just for me and just for fun. I'm calling it, "A Series of Nonsense." Right now I have six pieces planned for it. 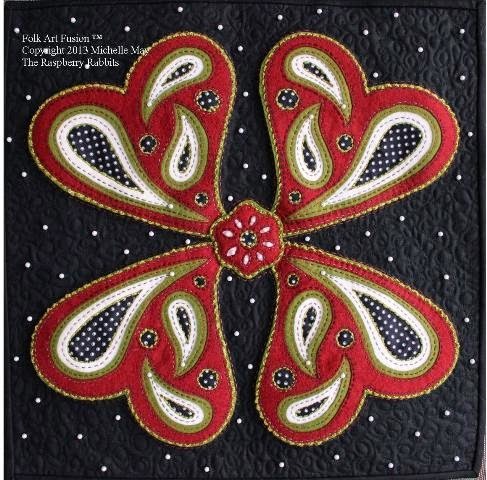 Of course, there will also be more Folk Art Fusion designs for my friends to create. In fact, starting in January, I have a little twist I'm putting on the traditional BOM quilts. I can't wait to show you! Many people say, "You won't get rich being an artist. You should get a real job." I've finally learned to turn a deaf ear to them because my definition of rich is not what theirs is. In the end, it's not having tons of possessions, giant mortgages and millions of dollars that makes me the happiest. It's living each day following my heart, inspiring others and trusting that everything will work out. It's knowing that I will always have plenty because I'm living the life I imagined. So...Let's celebrate!!! 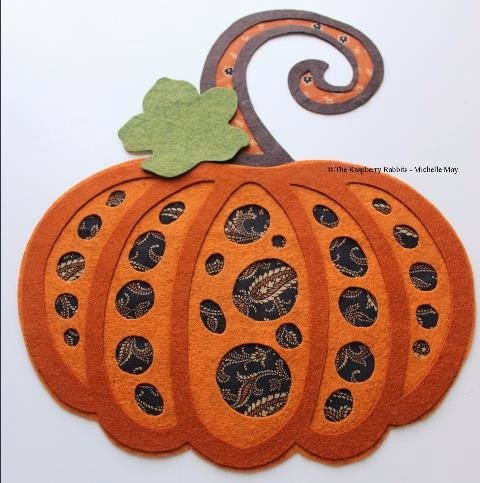 I giving away this fat quarter bundle plus one yard of the blue and white polka dot fabric. To enter the giveaway, leave a comment on this post. Friends who sign up to follow my adventures with Blogger or through Blog Lovin (Both on right sidebar) will receive two chances. If you already follow through one of them, let me know in your comment. You only have to comment once. The bunnies will use the random number generator to pick the winner next Friday, June 6. This giveaway is open to friends worldwide. Thank you for sharing in my adventures down the rabbit hole. I am truly blessed to have you in my life. Here we are, the end of May already! 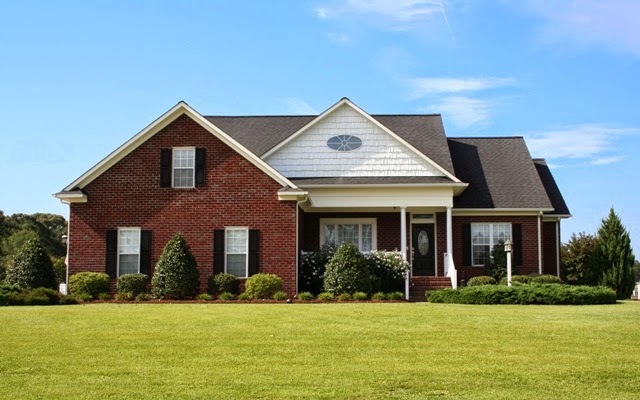 I want to start out with photos of our project this month. This pincushion uses the Peach Blossom flower from week 17. Remember, you can see all the flowers and all the projects by clicking the tab at the top of my blog. I also brought back Mr. Bee this month. He is attached to the pincushion and will hold your embroidery scissors. So I guess you can call him a "Bee Keeper!" Hee,hee,hee, get it? I'm such a dork. Those friends who are members in The Fellowship of the Flowers, will be receiving their instructions via email today. 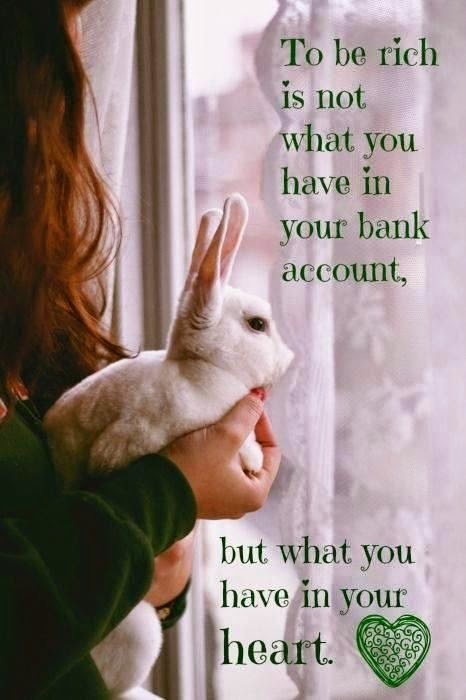 Of course, if you aren't already a member, the bunnies and I would love for you to join us! Please click on the Fellowship of the Flowers tab above to find out how to join us. Now onto the flower for this our 22nd week. This flower will be used in our October project. I'm having lots of fun using the baby rick rack. You can purchase it many crafts stores. I'm also going to be ordering some to carry in my shop. The bunnies and I are doing some celebrating back here on Friday. Be sure and hop back for a visit. There will even be a giveaway! It was another fun guild meeting last week. I was especially excited to see Marianne's quilt. This quilt is called "Bear Tracks" and it was a class I taught back in 2002. It may have taken twelve years to get it done, but it sure is awesome! Don't you think? Woo hoo! Great job girlfriend! Bonnie is such a fun lady. Here she is showing off her heart bargello quilt. Her shirt and her shoes even matched her quilt! Lea wowed us all with this quilt by Crabapple Hill. This is Lea. :) Check out the writing in the borders. Lea is a long armer and this quilt is beautifully quilted. In addition, I was blown away by all the hand stitchery she did. Incredible! 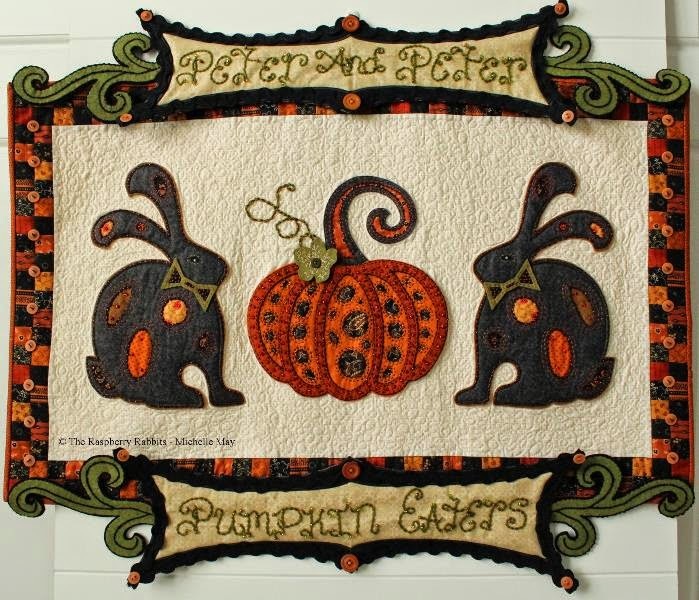 Linda shared these fun quilts. Sandy brought these two quilts. They make me want to take a nap under them on my back porch! Carolyn showed us her Peanuts quilt. I love it! Oh and her son is the Godzilla movie! How cool is that! 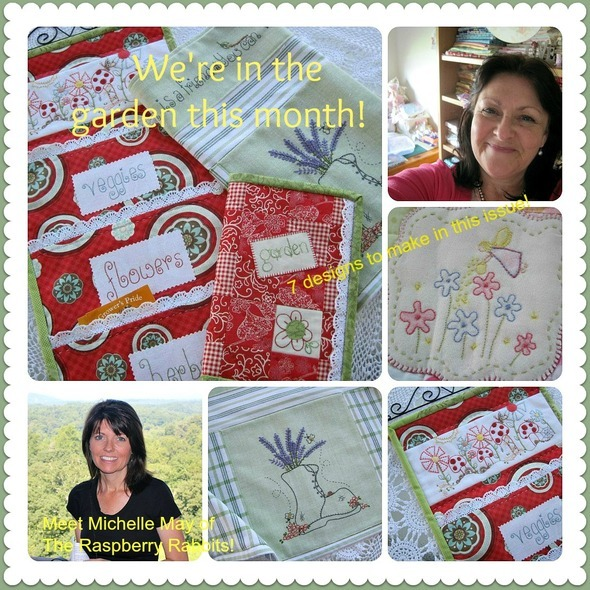 Barbara finishes us out with a quilt for kiddo's, a matching pillow and some fun trees! I must also mention that Lori didn't have a quilt show and tell, but she did have "Puppy Cam!" Lori is just the sweetest lady! She adopted a dog from the pound and then found out it was pregnant!!! She and her husband decided to keep her and let her have the puppies. She shared "Puppy Cam" on her phone, of 6 adorable little ones. I thought I was going to pass out from all the cuteness. Light, love and giant hugs to Lori for being such beautiful human being. She is my kinda friend for sure! I hope you enjoyed the show and tell from my guild meeting. Do you belong to a guild? See you back here on Wednesday for the next project in the "Fellowship of the Flowers."